sliced thin, with a dab of mustard while watching a game on the big screen. 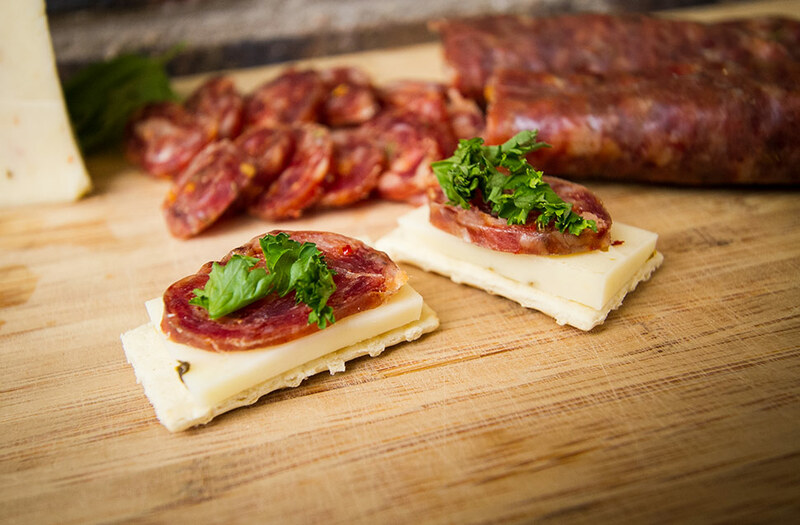 Our dry sausage is a high-protein, no fuss snack. Because it is a cured meat, it never needs refrigeration and can be carried anywhere. Call North Denver Sausage at (303) 287-7277 today to place your order. 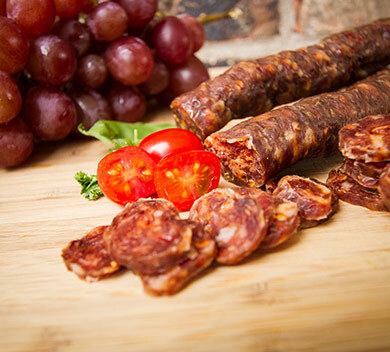 Our Dry Chorizo Sausage is made with a family recipe that will be sure to please. Sausage with a little spice to it! One of our most popular flavors, our Hot Potato Sausage is sure to be one of your favorites too. 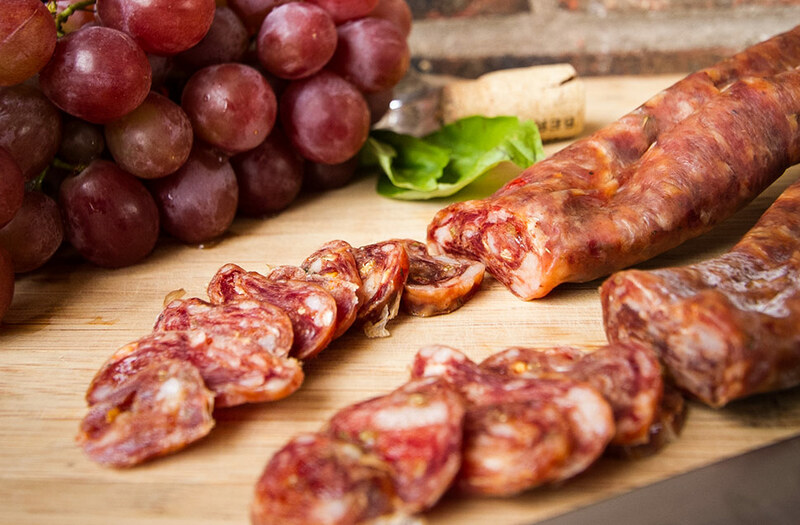 Our Dry Garlic Sausage makes the perfect snack for any occasion. 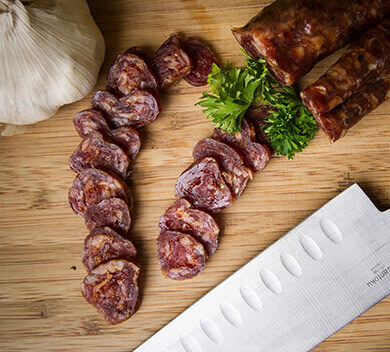 The sausage is made with the perfect mount of garlic that will keep you coming back for more. The Paisano Sausage company was started aver 43 years ago by two good friends (Paisanos). John Laurienti and Jim LaBate started making sausage for the restaurants and pizzerias in Denver. Due to Jim's health issues John bought out his interest. I, Katherine Laurienti came on board in 1981. I started as a part time sales person, but soon moved into production. Eventually John and I married and he let me take over the running of the company. As more chain restaurants started moving into Denver, our customer base of small family owned businesses kept shrinking. We struggled to find ways to keep busy. Just as I was perfecting the dry sausage and getting ready to market it, John passed away. Although it is his original recipe, John never knew about North Denver Sausage. After living in Michigan most of my life I got hooked on smoked hunter's sausage. Then I moved to Texas and got hooked on the different kinds of jerky. 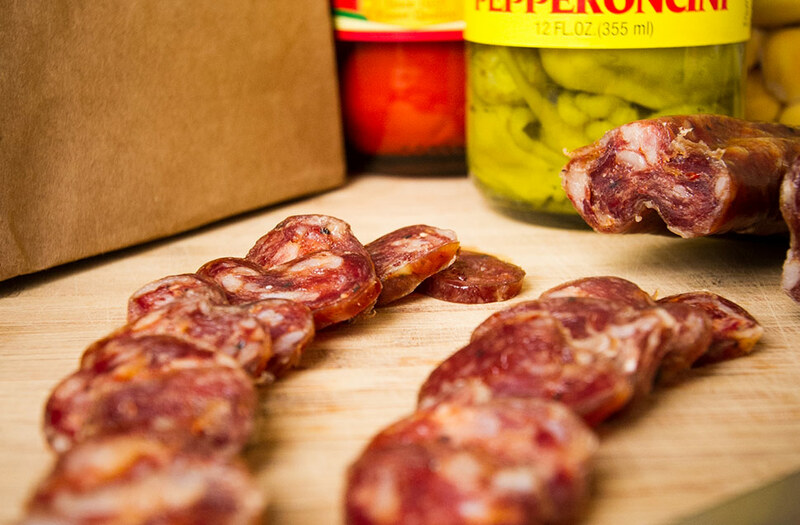 Dried Italian sausage combines the best of these two flavors together. As a fan of meats everywhere this is one of my favorites! Personally, I LOVE the sausage! It has such a rich, intense taste with quite a spicy kick—and we love spicy kicks in south Louisiana. It is difficult to stop tasting it and is quite a treat. I can’t wait to share it with some special friends that we’re having over soon as I know they’ll also enjoy it immensely. Growing up around the Denver area, I was always able to get good dried Italian sausage due to the numerous Italian delis. After moving to Florida, I was unable to find it and could only enjoy it when I visited Colorado. However, I recently found the best sausage I have had and it's available no matter where you live. The "Sausage Queen" has mastered it. 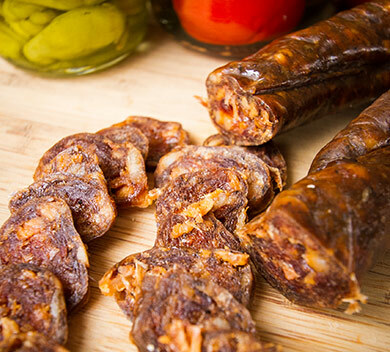 This dried sausage has the perfect amount of spices and also has that little bite that everyone can enjoy. Whether you eat it with a piece of bread, with a little mustard, or my favorite, just by itself, you and your friends will enjoy. Perfect for parties or just as a snack. Be careful though... friends have a tendency to eat more than their share!